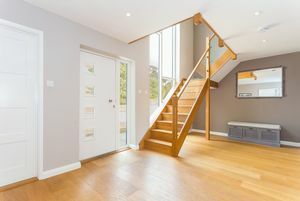 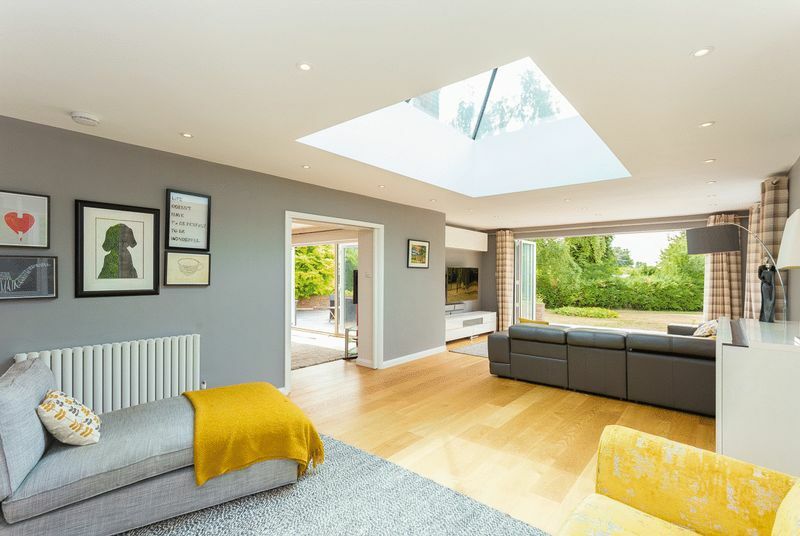 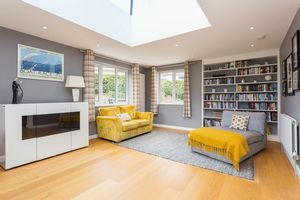 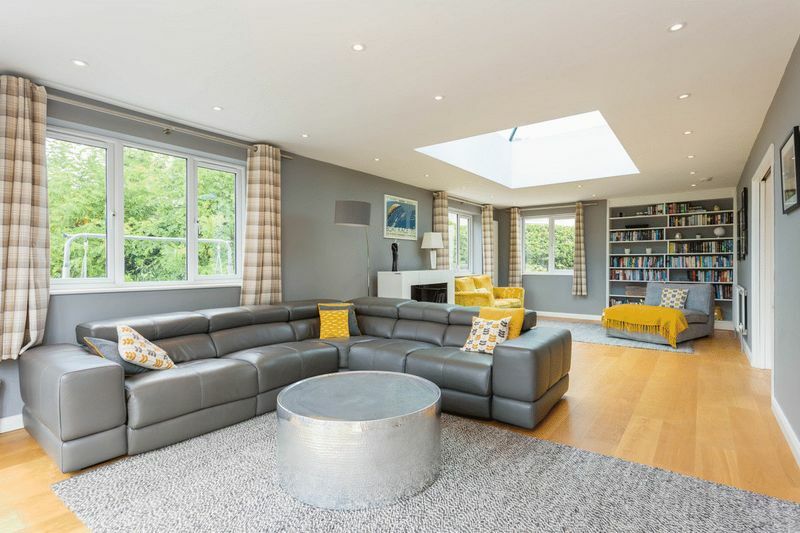 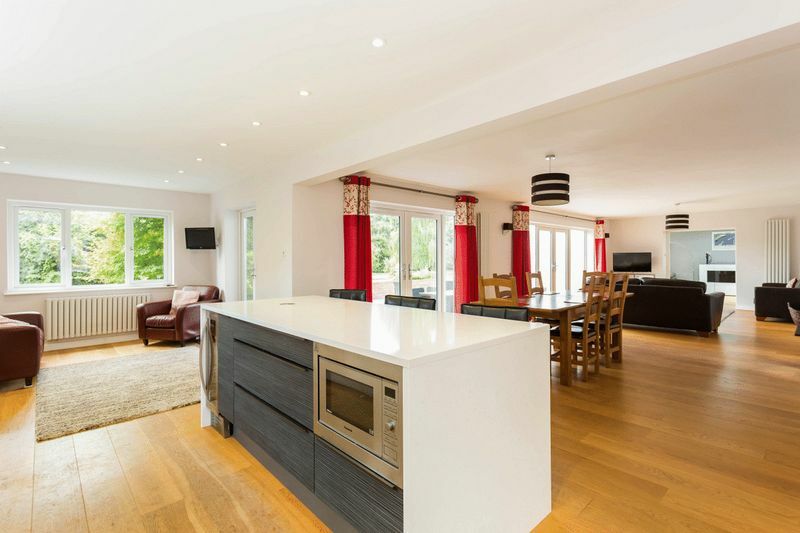 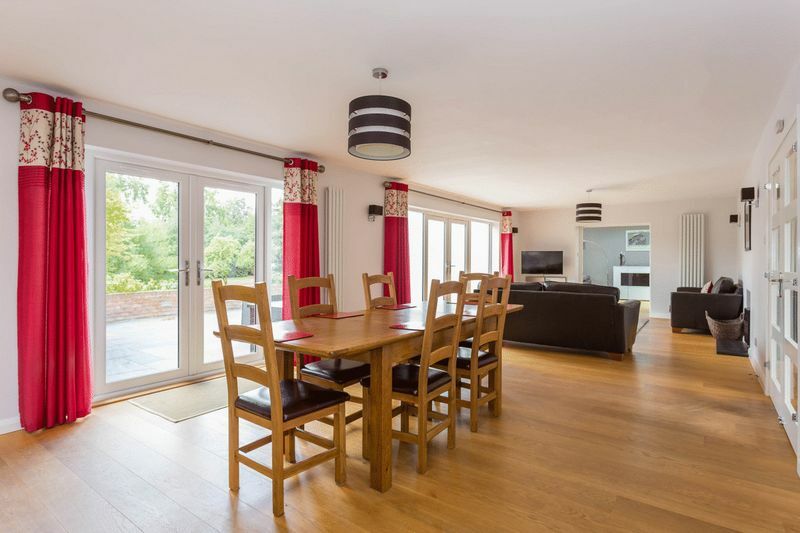 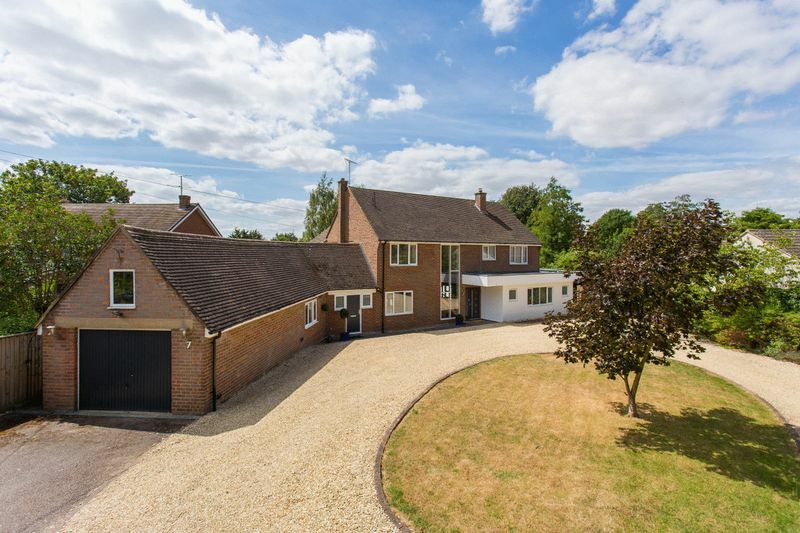 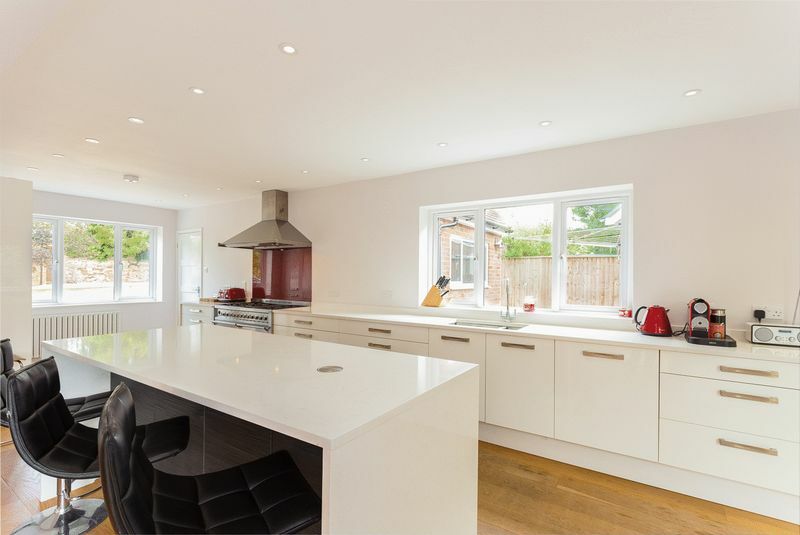 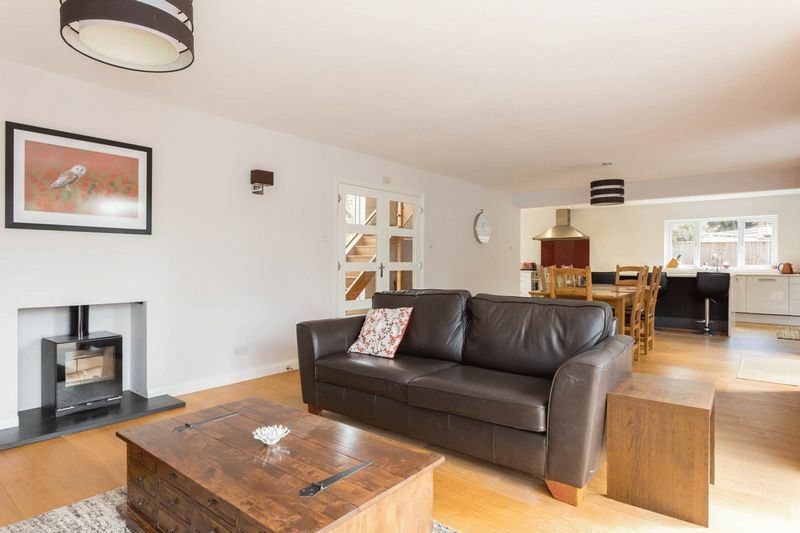 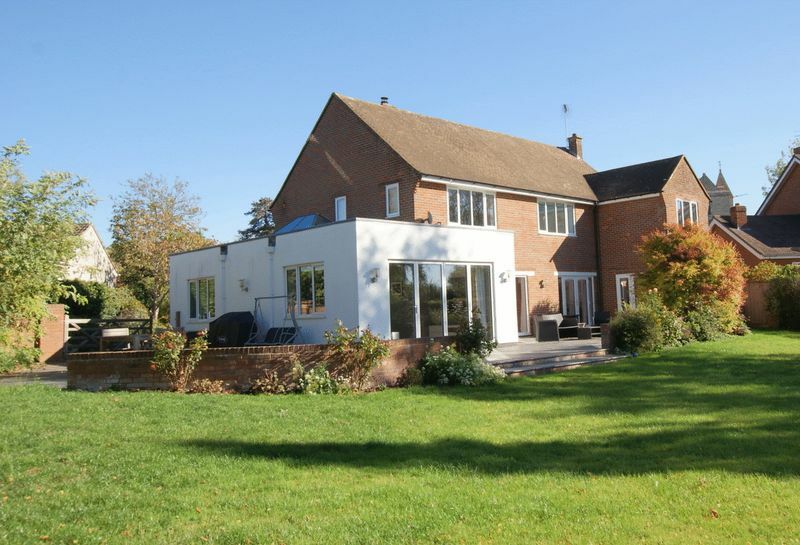 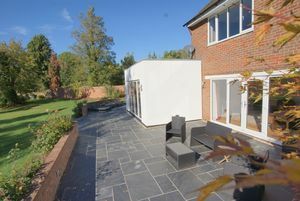 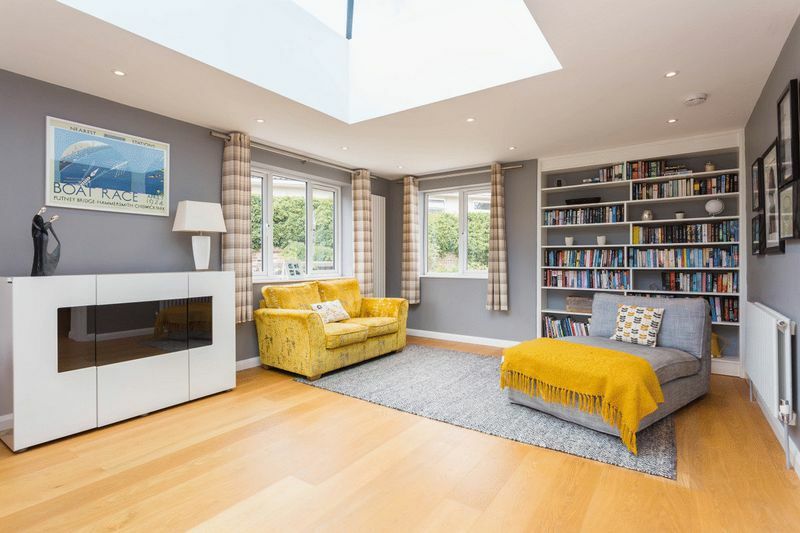 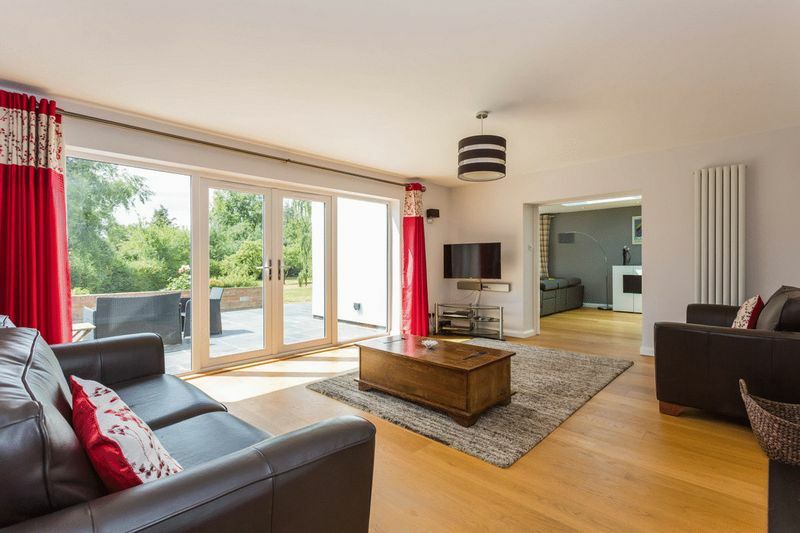 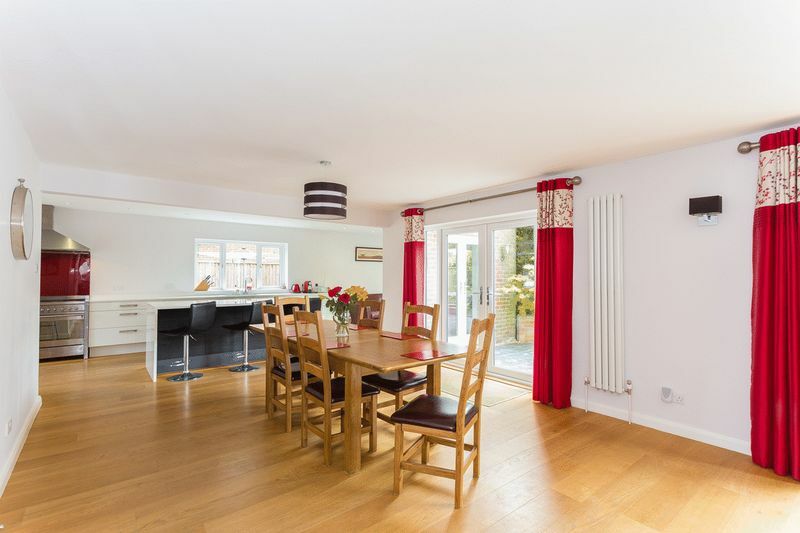 This beautifully appointed home has been designed to create stunning open plan living with the emphasis on glazing providing wonderful natural light. 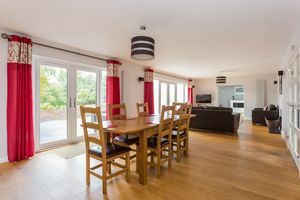 It has been transformed by the present owners to an exceptional standard and particular mention is made of the impressive kitchen/family/dining room with a Mobalpa kitchen. The sitting room is an impressive space too with the lantern light roof and bi folding doors leading out onto the extensive slate terrace. 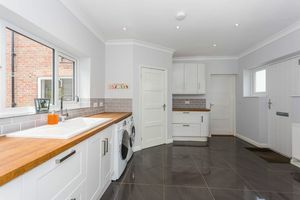 What a lovely space to entertain. There is also a study, ground floor double bedroom and a shower room. 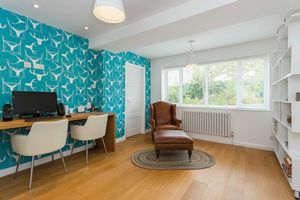 To the first floor the principal suite overlooks the south facing rear garden and has an exceptional bathroom and dressing area. 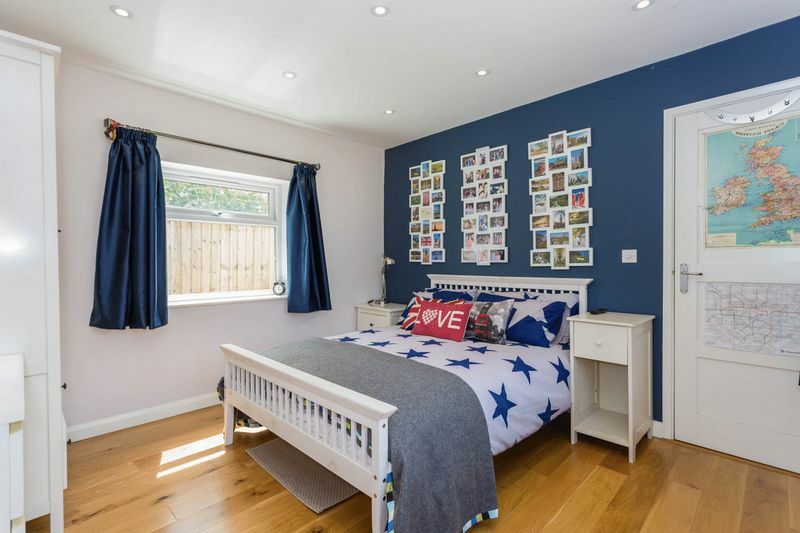 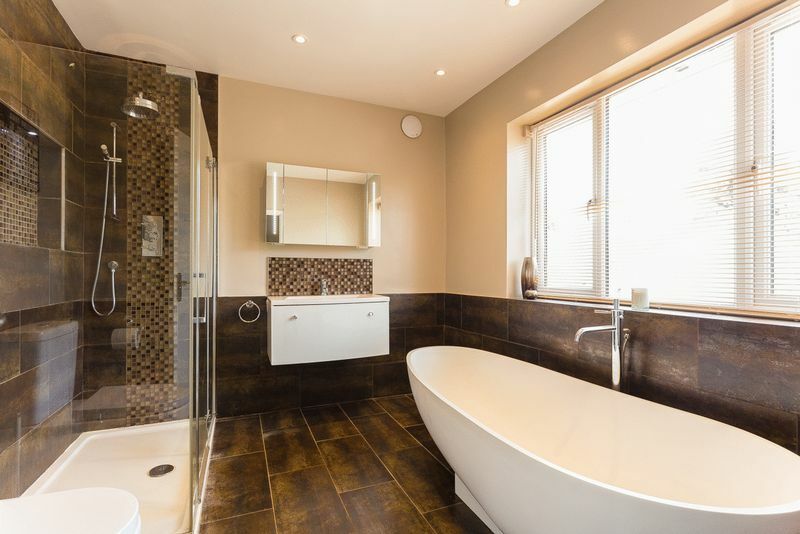 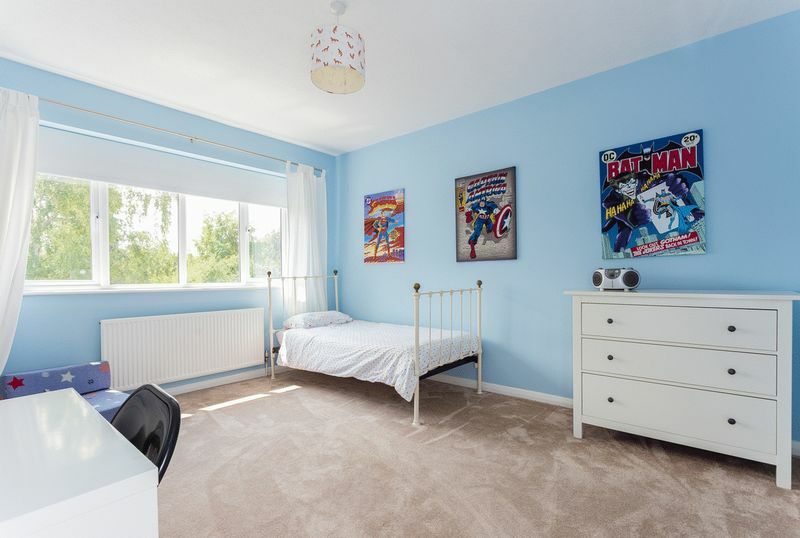 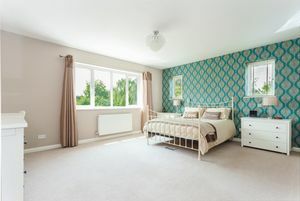 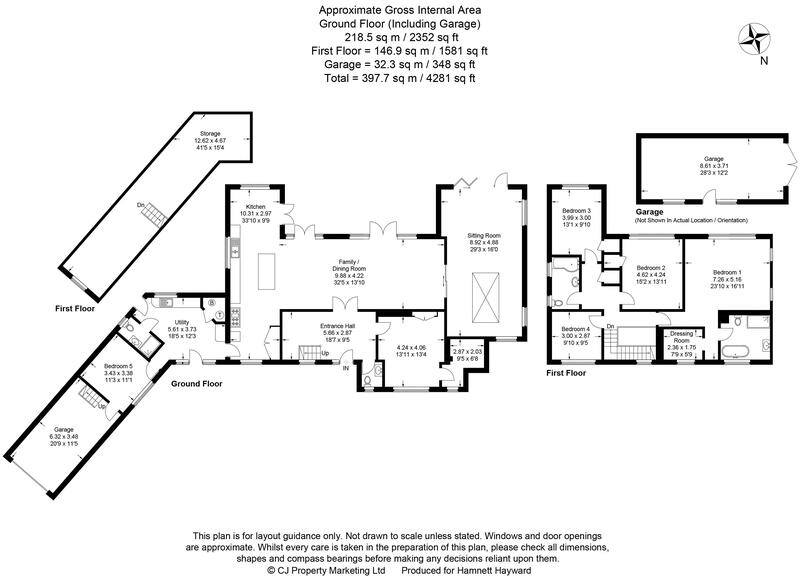 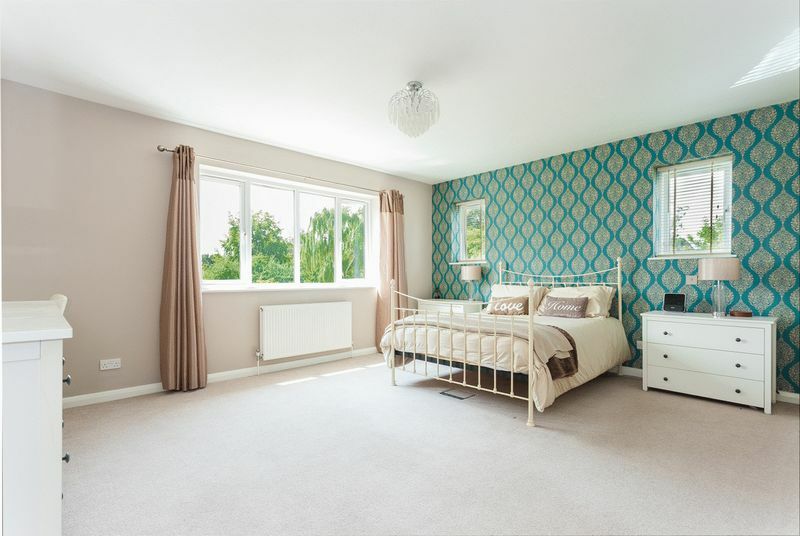 The remainder of the first floor comprises three further double bedrooms and a family bathroom. 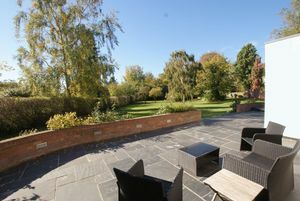 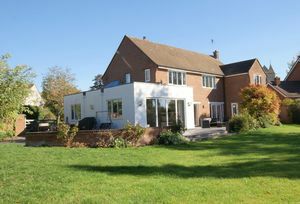 This imposing home is found set well back from Church Way in mature south facing gardens of around half an acre. 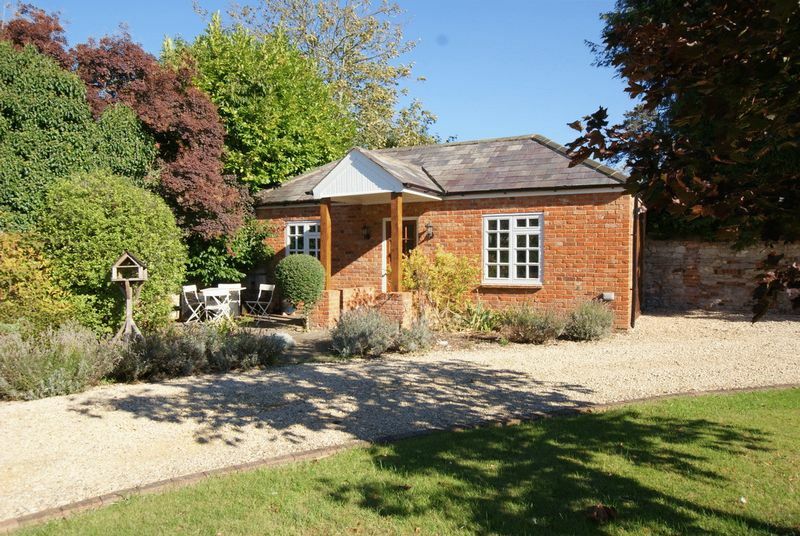 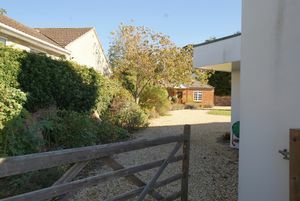 There is a gravel driveway and turning circle with parking for many vehicles and two garages one dating to the1860’s when the building was originally the village reading room. 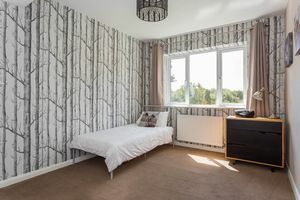 This is a gem.